Can NordVPN compete with the giants of the VPN industry? Read on to find out. If you ask most people about the first piece of software they think of when they think about digital security, most people would answer either with an antivirus software or maybe a spyware program. And to be fair to them, antivirus programs along with the various spyware/malware protection programs are pretty vital in terms of protecting one’s data on any given system. But the one thing very few people on the internet know about is that your daily data transfers (data sent, data received) over the internet also needs quite a bit of protection. In fact, the data related to your daily online activities is probably more exposed to spying agencies and hackers around the world than your operating system. This is where a virtual private network (VPN) service like NordVPN comes into play. NordVPN has made quite a name for itself in the VPN service business and has been mentioned by authority publications such as Forbes,The Huffington Post, PCMAG.com,PC Advisor, TechRadar,Yahoo TECH, CHIP, Entrepreneur, ComputerWorld, Macworld,TorrentFreak,Product Hunt,CanalTech, Netzwelt, VPN Analysis, Comparitech, vpnMentor, top10VPN,TEDx, Fox5 and cnet. That should be enough on its own to give you an idea about the merits of NordVPN as a top VPN service. In other words, when you use NordVPN as your primary VPN service, you can rest assured that your online data is being sent over the internet in an absolutely secure manner. Of course, as we have already pointed out in the summary section of this review article, that NordVPN isn’t necessarily the best VPN service out there in the market in terms of speed. But NordVPN is certainly among the best when it comes to offering a wide range of VPN service at an affordable price. For starters, NordVPN has VPN servers in a huge number of countries and that includes high-speed servers and extra-secure servers which are used for activities such as video streaming and extra-secure online transactions respectively. NordVPN’s extra-secure online servers completely mask your online identity so you can stay anonymous the whole time you’re connected to the internet. But most of all, NordVPN keeps your personal data locked away in a safe from the prying eyes of hackers and marketing agencies. 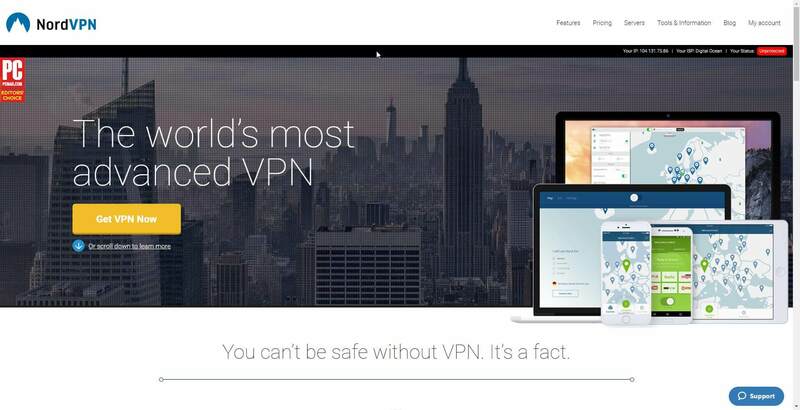 These were just some of the reasons why NordVPn is considered to be one of the best VPN services out there. One of the unique features about NordVPN is that it is available for wide range of operating systems such as Windows, Mac OS, and Linux. Not only that but NordVPN also supports other platforms such as mobile versions of iOS, Android and Windows Phone. If you want to then you can even launch NordVPN on game consoles and network devices such as routers. Though NordVPN initially did not fully support Windows 10, recent updates have made sure that isn’t the case anymore. As has become the standard in the VPN industry, NordVPN is a VPN service that comes in various flavors and sizes. There is the free version for everyone to try out the VPN service before making any decision and then there are the subscription-based plans for users to subscribe to and make use of by downloading and installing the VPN service’s client. As mentioned before, NordVPN’s pricing is very versatile as it offers three packages: $11.95 per month, $42 per six months and $69 for a full year. The VPN service has also made it easier for users to make payments as you can pay through credit cards, Bitcoin, PayPal, Webmoney, and Paysera. NordVPN also offers a 30-day money back guarantee but of course, that offer comes with its own set of conditions. Basically, the 30-day money back guarantee only works if the NordVPN service doesn’t. In other words, you can’t simply ask for a refund if you don’t like NordVPN. For users who want to make extra sure that they’re getting a good deal for their money, NordVPN also has a free 3-day trial period but NordVPN requires users to send an email to NordVPN support team if they want to subscribe to the free trial offer. Of course, this information isn’t advertised on the main page but you can have a look at it yourself in NordVPN’s FAQ page. Perhaps, it would be more beneficial for NordVPN to advertise this fact somewhere on their homepage where it is more exposed to the visitors. It always helps to try out any given software before the ultimate purchase decision. As far as technical details as concerned, NordVPN provides users who are on Windows and MacOS platform to choose between a wide variety of encryption methods. These three encryption methods are PPTP,L2TP/IPSec, and OpenVPN. Users on iOS and Android can also make use of these three encryption methods. 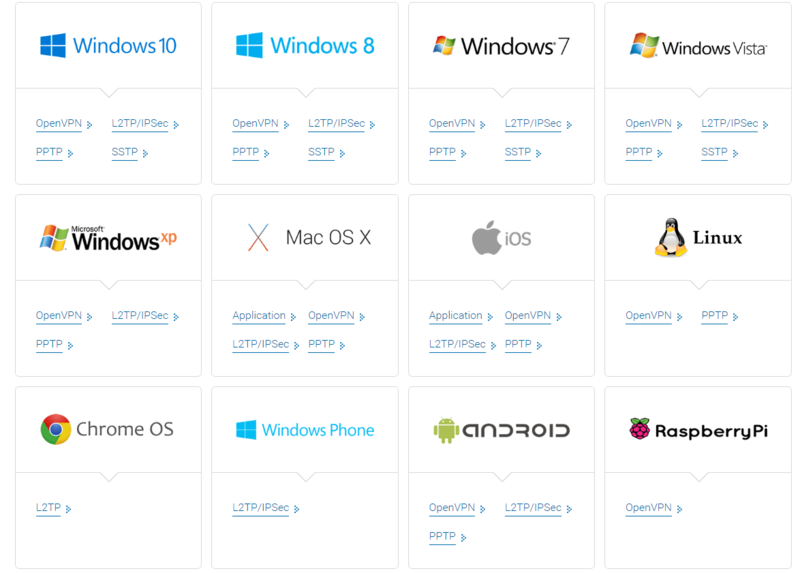 However, people who are on the Linux platform will have to make do with PPTP or OpenVPN. NordVPN’s Chrome extension only offers PPTP which is still pretty neat. For users who want to use NordVPN on an open-source router software DD-WRT or on other hardware platforms such as Raspberry Pi, the VPN service currently offers only the OpenVPN method. The OpenVPN method utilizes advanced technologies such as a 2048-bit SSL encryption while PPTP and L2TP/IPSec use MPPE-128 and AES-256 respectively. As always, you should try to opt for OpenVPN method whenever you have the opportunity because it is considered to be the best are providing security for your online identity and data transfers. NordVPN allows users to connect up to six simultaneous devices though it does put a certain limitation on connecting multiple devices to the same VPN server. Regardless, the deal is still pretty great considering that other VPN services provide from one to three simultaneous connections even for their best packages. VPN services such as F-Secure Freedome do provide up to seven simultaneous connections but they charge customers a lot more money, $39.99 per month, for that privilege. The biggest advantage in using NordVPN as your primary VPN service is that it is able to protect all your devices that are connected to the internet. These devices include your network router and your computer (laptop or desktop). Furthermore, the limit on the number of simultaneous connections can be made redundant if you know how to get NordVPN installed on your router. As mentioned before, NordVPN does provide you the facility to install the VPN service on your router as well as any other device that’s connected to the internet. NordVPN has over 80 VPN servers that are located in over 26 countries around the world. There are hardly any VPN services out there that can match this much variety of servers to protect their customers. Moreover, NordVPN works under Panama’s jurisdiction and that means that the company is not bound to any obligatory data retention laws. Update: Now they have added Singapore in their server locations. In other words, NordVPN collects no logs and thus has no information on any of its clients that it has to hand over to any authority because of a subpoena. While that adds an extra layer of protection for your online connection, it also means that you won’t be able to view much information about your connection or online session. In other words, if you want to view network usage or other session-specific statistics, then you’re better off signing up for other VPN services. 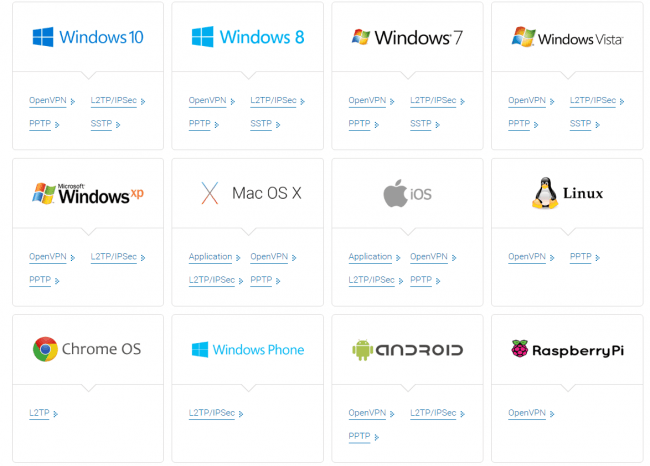 You might have noticed that some VPN services use the operating system’s built-in VPN client software while others offer a stand-alone application for different operating systems. NordVPN provides both options for its subscribers. As far as the NordVPN client is concerned, the installation process is clean and the application itself is lightweight and hence doesn’t have a high impact on your startup time. The application allows users to choose the type of connection and location of the server used. NordVPN application also offers other features that aren’t commonly understood. So if you’re a beginner in the VPN business then perhaps it’s best if you Google NordVPN obscure features such as UDP and TCP. Apart from minor exceptions, the NordVPN app is unusually simple to use. Server connections are organized neatly by type. You can also opt for ultra-fast servers that are used for video streaming. If you want an extra layer of protection for your identity and private data then you can select from DoubleVPN and Tor-over-VPN servers. NordVPN also offers Anti-DDos servers that protect you against denial-of-service attacks that disrupt your network activity. NordVPN Double VPN server, according to official sources, double encrypts a user’s data. In other words, both the inbound and outbound data is encrypted with 256-CBC encryption. If you opt for Tor-over-VPN method then your online traffic is first encrypted and then sent through the Tor network that provides it, even more, anonymity online. Or if you’re extremely sensitive about your online data and activities then you can also choose DoubleVPN with Tor-over-VPN for double encryption of your data. This mode provides the maximum amount of protection for your data and online identity. Moreover, NordVPN also comes with a phonebook file which can be utilized by using it with your operating system’s built-in VPN client to configure a PPTP or L2TP/IPSec VPN connection. You can check out NordVPN online tutorial to learn more about how to set up the connection on Windows, Mac, and other platforms. Readers should also know that NordVPN installs the OpenVPN TAP device driver on your device before the launch of the actual software. You can use the company’s Web portal to keep track of other things such as subscription packages and bonuses earned from inviting your friends to sign up for NordVPN. If you want to remove the NordVPN client from your machine then you’ll have to run the uninstaller that is bundled with the original software package. Do note that you can’t uninstall NordVPN through your operating system’s default Add and Remove Programs feature. NordVPN also offers a dedicated IP address that is connected to your account. However, this service is only available for those who reside in the US or the UK. You’ll also have to send an email to NordVPN customer support team in order to purchase one. If you buy one of these special IP addresses then you can connect to a specific IP address every time you connect to the internet using NordVPN instead of a rotating IP address. Though recently NordVPN representatives have stated that the company has halted its IP offerings in the UK. Furthermore, NordVPN has a Kill Switch feature as well. This feature essentially monitors various applications and processes of your choosing. And if by any change your connection to the VPN service is disturbed or terminated then the applications on the Kill Switch list are the first ones to be closed. The process is automatic and hence you don’t have to move a muscle to secure your sensitive transactions online. The Kill Switch feature ensures data security even when the VPN service is down. Additionally, NordVPN has a Domain Name System Leak feature which protects your operating system from using a default DNS server (which is provided by your ISP) instead of the VPN service to search for the actual machine address of the website that you’re trying to gain access to. Default servers are basically insecure servers that anyone watching can monitor without much effort. If your operating system uses a default server than your internet traffic can be intercepted by marketing agencies and spies. NordVPN has its own DNS servers which secure your online activities when you’re connected to the internet and all machine address lookups are managed by those anonymous DNS servers. The VPN service allows users to configure the VPN client to utilize any DNS server of user’s choice as well. Of course, each user would have his/her own unique drop in speed when using any VPN service but in order to account for that, PCMag ran the tests multiple times and then averaged their results. 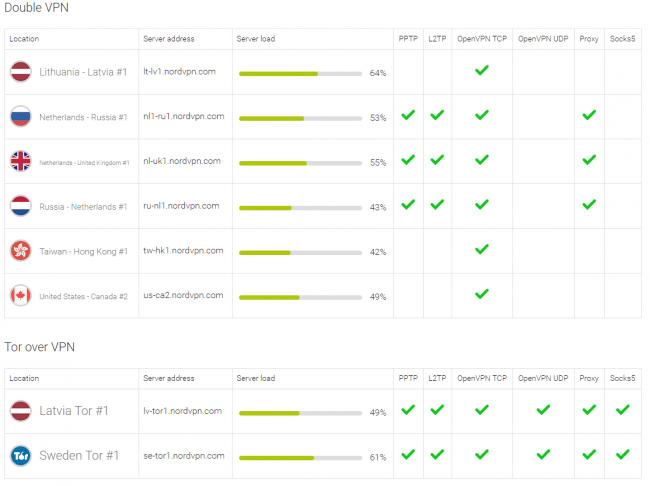 The end results did not change as NordVPN affected latency rates and data transfer rates are almost all servers. But just because a VPN service reduces some numbers, it doesn’t mean that you’ll necessarily notice the degraded performance in your everyday activities. PCMag further added that they did not experience any degradation as far as performance was concerned. With that said, there are VPN services that are faster than NordVPN, so if you feel that you can’t even give an inch when it comes to internet speeds then you should go for another VPN service rather than NordVPN. On the plus side though, NordVPN does not slow down your computer as much as some of the other VPN services. It doesn’t affect reboot time either. Other features you should know about are that NordVPN does not show its users any type of advertisements and offer high-speed servers for video streaming which are particularly suitable for HD Youtube videos. The only real negative aspect of NordVPN as far as browsing is concerned is that the VPN service doesn’t block ad networks from tracking you. Changing IP addresses does not ensure that you’re protected from Web trackers. Perhaps NordVPN will introduce this feature sometime in the future. Should You Sign Up For NordVPN? While NordVPN is certainly not the most popular VPN service out there in the market, it does score well on some major points because of its simplicity and extra features. The Kill Switch is a very useful addition to the VPN service’s arsenal and the ultra-fast servers for video streaming,Tor-over-VPN along with double encryption servers just put the icing on the cake. Overall, NordVPN constitutes some pretty decent security features. The company has done a good job of providing a high level of security in an easy-to-use interface and that too at a reasonable price. As far as features such as online security and anonymity at a low price are concerned, you can’t go wrong with NordVPN. NordVPN supports many platforms apart from regular platforms such as Windows,Linux, and Mac. If you don’t have the time (or the energy) to go through the full review then read this short summary to get a clear idea about what you get when you sign up for NordVPN service. NordVPN service is a commanding VPN service that has the ability and the technology to secure your online connections and private activities. It performs most of its crucial functions in the background and hence is one of the handful of VPN services that doesn’t get in the user’s way. Great customer service, however they couldn’t get me past MLB’s location identifier, so I couldn’t watch Mets games :-( But, they were very helpful and nice, so they get a few points for that. We’re happy to hear that you had a nice encounter with them. Streaming services like MLB and others are always coming up with newer ways of blocking VPN services. But VPN services usually fight back with more circumvention techniques. Maybe NordVPN hadn’t figured out to get past MLB geo-restrictions at that moment. That’s why we always recommend users to take advantage of their money-back guarantee claims and free trials. NordVPN does offer the money-back guarantee feature. such a deep review, thank you guys, It made some thing clear for me why I should use nordvpn. Thanks for the feedback Elroy. NordVPN is indeed a good VPN service provider. Perhaps the best in many ways. Glad we were able to help you understand this service a bit better. Nice affiliate link. This is trash “news” at its best. And we have clearly labeled the BUY buttons away from the main content. Had this VPN 6 months now and can’t wait for my subscription to expire. I’ve thought regularly about jumping ship before it does but so far haven’t. The NordVPN app is slow, slow, and often stops altogether, and not just on one server. I also use IKEv2/IPsec which hasn’t a kill switch like the app, so if I torrent with it I might get faster speeds but when it cuts out, as it often does, I am at a greater risk of a warning letter from my ISP. The support staff are friendly but always ask the same questions – what is my IsP, can I provide screenshots, have I tried a different server, and so on – when all I really want to do is set and forget. I reckon Nord is a lot of hassle for what you get from it. And I no longer think it’s worth it. Thank you for your comment Colin. NordVPN is one of the few VPN services that still work with Netflix. Yes, it does suffer from slow speed. But that is only because of the speed it offers to its users. We’re really regretful of your experience. That is why we always suggest to people to only sign up for VPN services when they have a holiday or two. Check the VPN service as much as you want before the money-back guarantee expires. And if it malfunctions in those seven or thirty days, then ask for your money back. Also, always ask for a free trial using the contact form before actually signing up. All of you people giving NordVPN a good rating might want to take a closer look at the charges on your credit card. I signed up for a year and within a month I was charged for another year subscription. It is unfortunate that NordVPN would do something like that. Maybe their payment solutions malfunctioned. You should contact their customer support immediately and demand your money back. How could you believe that this is on purpose? It’s definitely a mistake. If this really happened to you, you should definitely contact their support. The fastest way is via live chat, they should help you immediately. It is hard to believe that a VPN with as good a reputation as NordVPN would do something like that on purpose. But it is best to check with their customer support department. This site is so corrupt! We’re sorry for your experience with NordVPN. But NordVPN has managed to attain high praise not just from Security Gladiators but also many other review sites such as PCMAG, bestVPN and Tomsguide. Thank you for this informative review! I’m a Nord user myself and don’t have any issues with them whatsoever. It’s strange to see negative comments when overall NordVPN shines in many different reviews online. I tried a few different providers already but with Nord I can get the best connection speeds compared with others. Especially when it comes to streaming content from streaming sites such as US Netflix. However, the competition in the VPN industry is cut throat. So it is hard to put one VPN service over all others in each area.